JHOP PTSA is excited to have helped bring this fun event to John Hopkins Middle School to help spread an Anti-Bullying message. 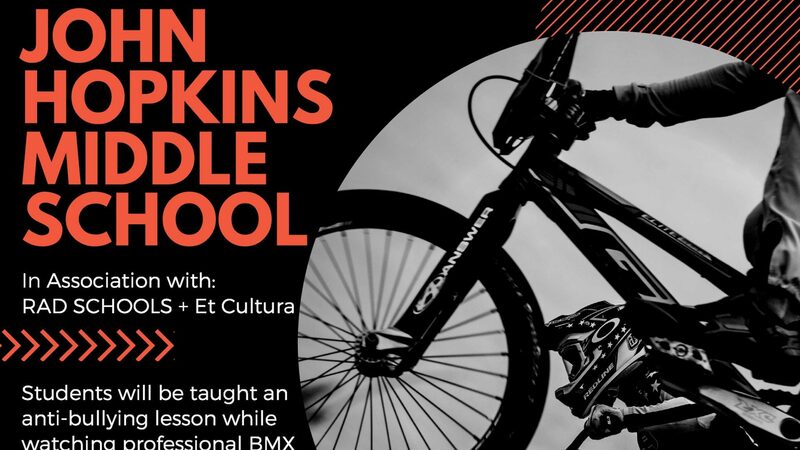 RAD SCHOOLS, in partnership with Et Cultura, is bringing an exciting BMX and Skateboarding show during school hours. They will be building a half pipe on school property. 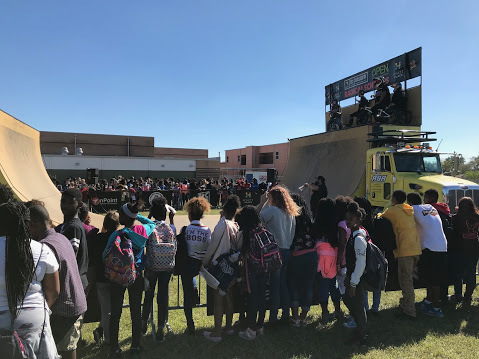 While the students watch professionals perform stunts on the half-pipe, they will also be taught an anti-bullying lesson! The students will have a chance to use the new school token economy to “purchase” entry into a VIP area.